Public speaking is an important part of my work, and something that I get great joy and satisfaction from. 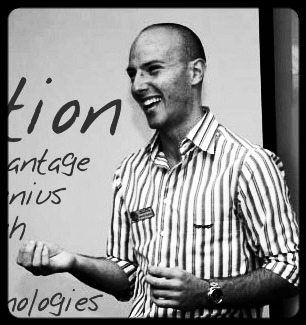 I'm not a natural public speaker though, in-fact I still get little nervous almost every time I get up to give a talk or presentation, but I've learned certain tricks and methods that help me "get those butterflies to fly in formation". So, at the prompting of the guys at Missing Link, I'm going to be sharing some of what I've learned about presenting in a series of blog posts on the topic. Before you give any presentation, it's useful to get clear on the top reason you're presenting, and what you need to achieve from your presentation. The reason you do this is because it's difficult to achieve more than one high-level objective per talk. An example is: "To help people feel more confident about public speaking". Tell stories to make your point. These can be case-studies if you wish. Or analogies. Varying your pace to emphasise different points. Don't underestimate the power of a pause. The pressure to give a technically perfect presentation is what often leads to stiff, boring presentations where the audience can often actually see how nervous you are. If you're able to speak naturally in conversation with a friend or a business colleague about your topic, then you should be able to present to a group... just turn the volume up. The key here is to present on stuff that you're comfortable speaking about, so that you can speak naturally about it. Sincerity wins over flashiness. 5. Use Pictures, even if you're not using slides. People can read faster than you can talk - so reading off your slides starts to seem like a hinderance to progress if that's all you're doing. Pictures add an entertaining element to your presentation, and often help people envisage what you're saying. If you're not using presentation software, then this principle still applies. There's a journalistic principle that says: "Show them don't tell them" - use examples, stories and analogies to make your point, rather than simply stating it bluntly. Keep them curious, use storytelling to involve them. Anything else you'd suggest? Have you been to one of my talks before? If so, do you have any feedback on how I've applied these principles? Please share.